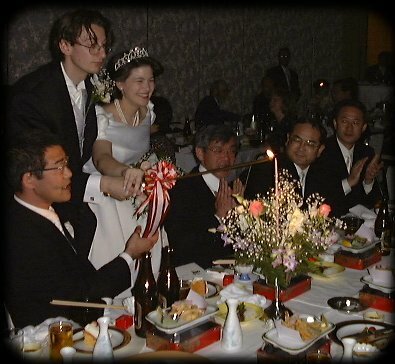 Ok- so it's really a Japanese tradition- but it's always done in Western Clothes, so the Candle Service happened during the Western portion of the wedding. The Candle Service is where the bride and groom go around lighting all of the candles at each of the guests tables. It's a pretty thing and a nice way to see your guests.